Smurfit-Stone owned a mill in Bathurst that produced box paper. It was known as Abitibi-Consolidated and Stone Consolidated before several mergers. The mill was shut down in late 2005. It owned 2.4 miles of track extending from New Brunswick East Coast‘s main line to the mill near downtown Bathurst. Outside the plant, they had a small yard. 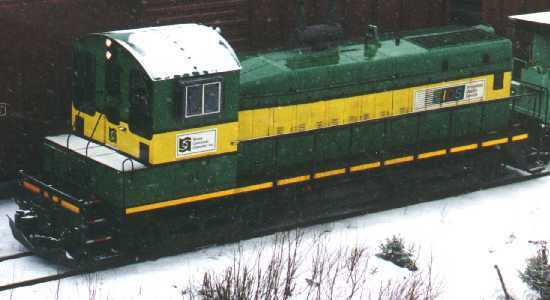 Smurfit-Stone owned one locomotive, #01, as well as a van and a snowplow. Smurfit-Stone apparently disposed of its MLW S-3 since 1997. Engine 01 was built by GMD in December 1950 as a SW9u for the Toronto, Hamilton & Buffalo as #55. 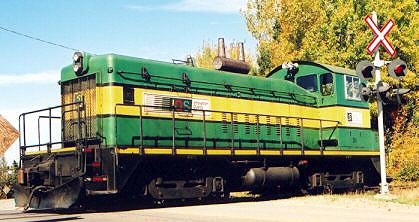 It belonged to International Iron & Metal until February 1989, when it became CP Forest Products #123. In September 1990 it was acquired by A.A. Merrilees (a dealer) and was acquired by Stone Consolidated in November 1996. It was sold to Falconbridge in early 2006 for use at the Brunswick Smelting facility in Belledune. Smurfit-Stone’s van was #79593, originally a 472000-series boxcar built by CN. It was rebuilt by CN-PSC in September 1972 as CN 79593, and was acquired by Smurfit-Stone in 1994. 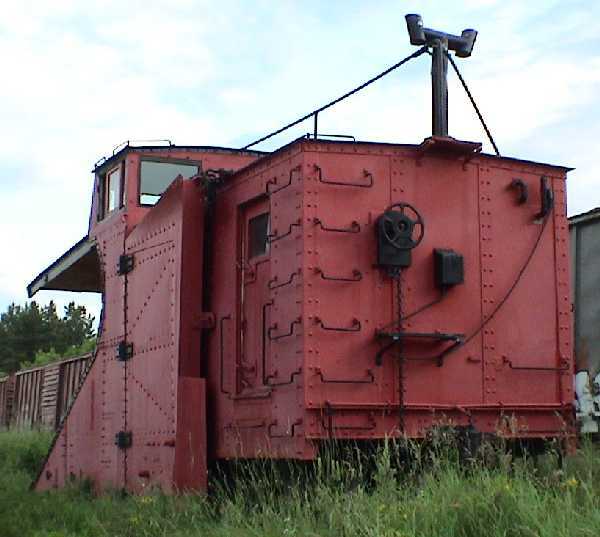 It has been sold and is on display at the replica train station in St. Quentin, NB. 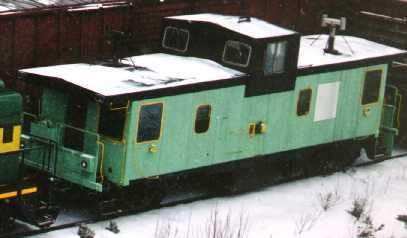 scrapped in place in the summer of 2007. Luc Doiron caught the locomotive at Smurfit Stone’s plant in Bathurst on November 12, 2004. Photo by Luc Doiron. Used with permission. Smurfit-Stone’s SW9u, under highway 11 in Bathurst 2001/11/12. 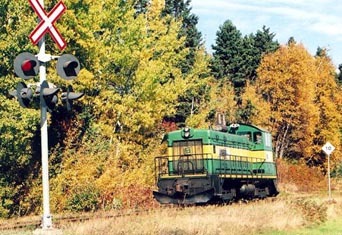 It was engaged in a switching move with New Brunswick East Coast’s RS-18 1819. Locomotive 01 near highway 11. Locomotive 01 under highway 11. Bathurst, March 17, 2000. Note the snow! Smurfit-Stone’s caboose (ex CN 79593). 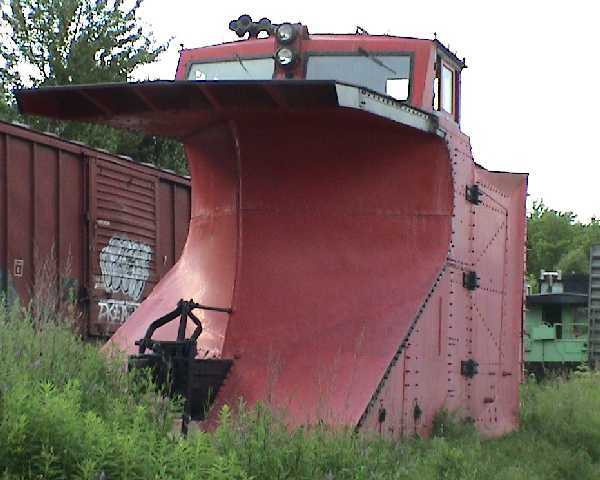 Smurfit-Stone’s snowplow outside the plant in Bathurst, NB on July 17, 2002. 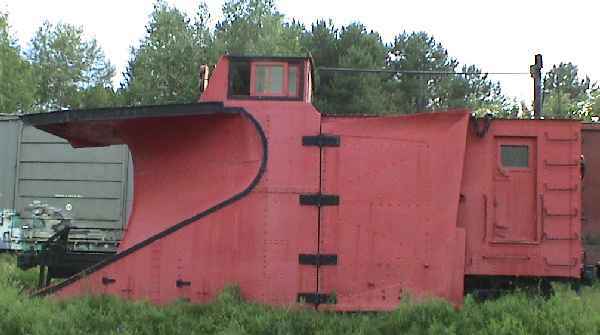 Front view of the snowplow. Rear view of the snowplow.